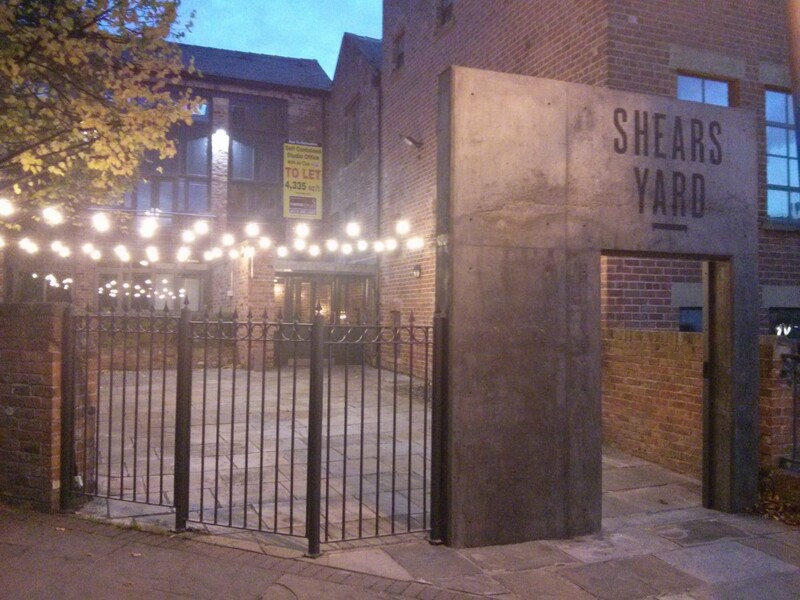 There is a yard at Shears Yard. Maybe there are tables in the summer? Shears Yard is a small bar and restaurant that’s recently opened in the former canvas factory that previously housed Livebait. Although the emphasis here is on the food (which is ultra-fancy but very nice) but there’s also a bar area with table service and the place is definitely trying to appeal to a drinking crowd as well as foodies. The bar. Sit down, it’s table service. The beer selection is surprisingly good, with more than a cautious nod to quality beers. 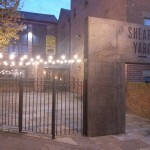 There are two cask ales, along with Yorkshire Lager on keg and a sizeable selection of food-appropriate craft beers (Brooklyn, 2 from BrewDog, ELB, Sierra Nevada, 3 from Five Points and Goose Island). Bottles are in the £3.70 – £4.20 range, which is better than we might have expected. The restaurant area. The lightbulbs are very cool. 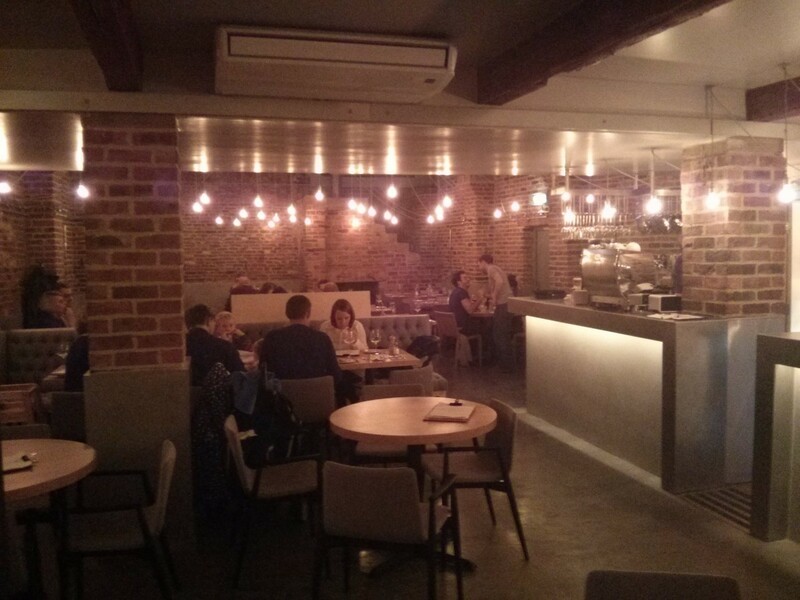 The style here is exposed brickwork with hanging lightbulbs, and this works really well for eating, but when coupled with the hotel-like tables it’s not the most inviting atmosphere for drinks. And it seems the public agree. 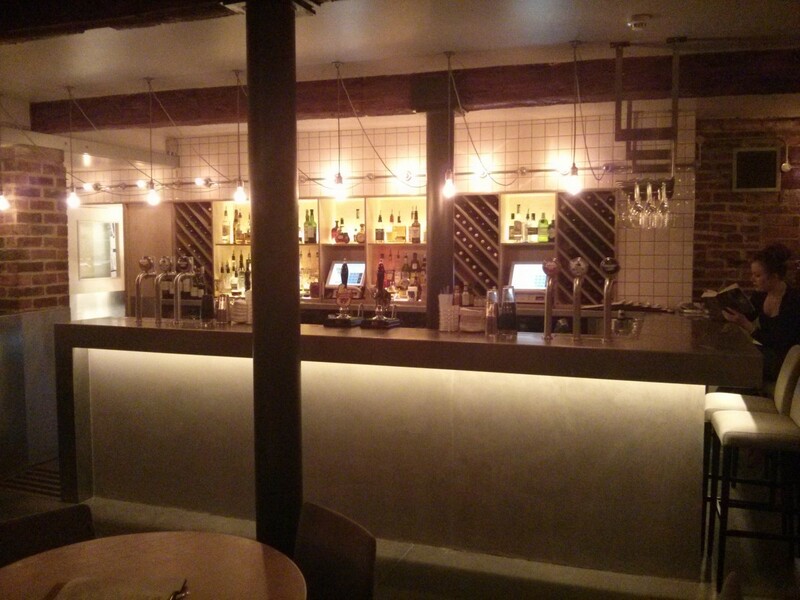 The restaurant area was packed out but the bar area seemed quite unpopular right now. And for that reason we’ll keep it in mind when we need a decent quiet drink at a time when every other bar in town is rammed. I don’t think many people at all consider coming here just for a drink. 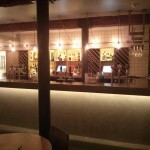 There is a nice bar area which is good for a drink before lunch. Options are reasonable with well kept ales and a couple of good hoppy ales. Their cocktails look good too. 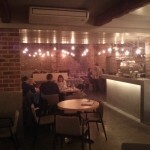 The real star turn is the food which is very well priced and delicious. The food area doesn’t have good acoustics though, so every slide of a chair or rattle of a knife and fork clatters across the room.